Welcome! We're rounding third now and heading towards home! Boy the I Wish You a Merry Quilt Along has been fun! Here are my versions of Blocks 1 to 6. If you'd like to join us, we'd love to have you! You'll find everything you need to know right here. For my blocks, I’m using the Shiny Objects in Holiday Twinkle collection by flaurie & finch for RJR Fabrics. I really love how my blocks are turning out using the fabrics from this collection. Aren't the fabrics luscious? Block 7 in our quilt along was designed by Sandy @ Sandy Star Designs and it’s called Poinsettia. Here’s my version. I really love this block. I think it really makes the fabrics from the Holiday Twinkle collection shine. From the collection, I chose #3022-06 (Seafoam) for the block’s background. I think it provides a lovely contrast to the reds in the poinsettia. For those reds, I used #3163-04 (Scarlet) and #3164-03 (Candied Apple); for the green leaves, I chose #3022-07 (Tannenbaum). The collection didn't include any gold, so I used a scrap of the same gold I used in Block 3 - Santa's Belt. Mark the diagonal. When I make half-square triangles (HSTs) and quarter-square triangles (QSTs) using the method used in this block, I take the time to actually mark the diagonal rather than eyeballing it as I sew. Drawing the line helps my accuracy so for me it's well worth the extra time it takes. To draw my diagonal lines, I use my sandboard and a mechanical pencil. The sandboard keeps my fabric straight and still while I draw. Trim, trim. You'll be making several HSTs and QSTs in this block and my tip is to be sure to square them up just like the pattern says to 3-1/2" after making them. To help me square up my blocks, I use a turntable cutting mat. Beware of the bias. Speaking of those quarter-square triangles, be careful when making them--you'll be dealing with stretchy bias. So when you cut the red and pink squares to create the triangles you add to the QSTs, lay them very gently on the already prepared white-green triangle. Pin gently and sew gently. Press as directed. There are a lot of seams in this block, and the instructions say to press the seams in the HSTs and QSTs open. You don't have to of course, but pressing seams open often reduces the bulk in a block like this. Add a dot or dots. The pattern calls for you to add a gold circle to the center of the poinsettia. You can also add a button here, if you don't like applique. I decided to add several small dots, because I thought that would be more like a real poinsettia. To see if I'd like the look, I used three dimes as my models. Since they seemed nice, I used them again to trace the gold shapes. If you use raw-edge applique like me, be sure to edge-stitch (stitch around the edges of each shape). I used Sulky Metallic #7007 Gold on my gold dots. Square up your block. I always square up my blocks when I’m finished, which helps my quilts go together more smoothly. So I’d square up the block now, before you sew your blocks into a quilt top. Your block should measure 12-1/2” square. Drop by Sandy's blog to get your free block pattern. Also, don’t forget to visit the other quilt along hosts to see their versions of this block. There are two blocks this week, and two separate giveaways. To enter the Poinsettia block giveaway, you must make the block and post it in one of these three places by Monday, October 23rd at 11:59 PM EST. If you post your Poinsettia block by the deadline, you might win this wonderful prize package— the 4" x 5" Anthology book, signed by it's author Carol Hopkins, and a PDF pattern of your choice from yours truly <grin>. I actually got to hear about this book from Carol at Quilt Market last spring and she couldn't have been nicer. The book is truly unique and I'm so excited that some lucky winner is going to get it. You can read about my experience here. Don't forget there are two blocks! Click here to view my version of Block 8 - With Love at Christmas (Christmas Presents) and to learn where to download the pattern. On Tuesday, October 24th, be sure to come back here for the next block in our quilt along! You can follow me on social media or sign up for my newsletter if you’d like a reminder when the next block is posted. You’ll find all the ways to follow me at the top of my sidebar. 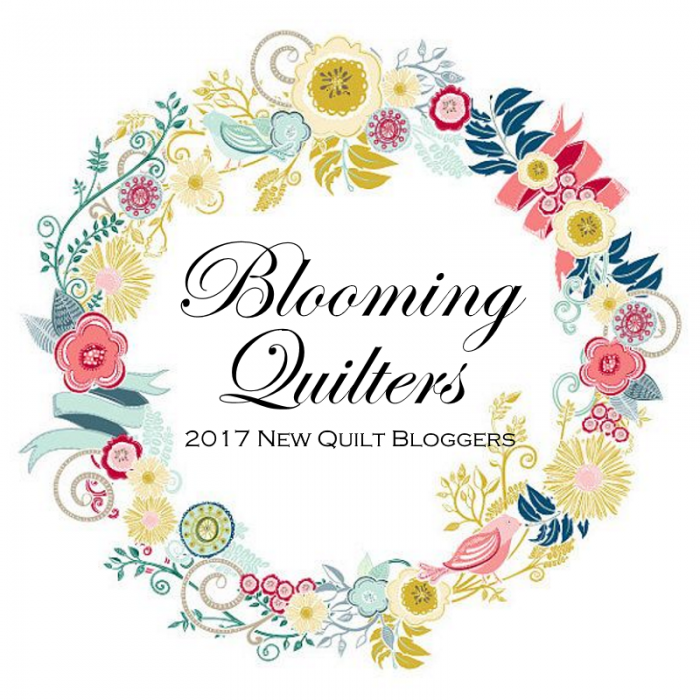 If you have any general questions about the quilt along or would like to see the complete schedule, click the I Wish You a Merry QAL tab above.